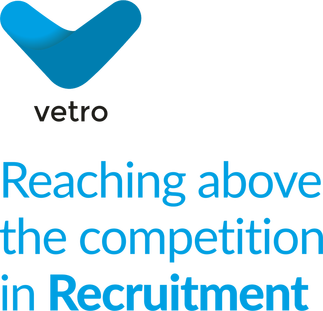 Our mission is to provide a clear and transparent recruitment service to the care sector. Our workers receive fair pay and our clients get a specialist service that provides value for money through the supply of quality, compliant housing and care workers. Our recruitment team is made up of individuals that have worked within the care sector. Having previously worked as Support Workers, Registered Managers and Care Managers, we truly understand the sector and the demands of the roles we recruit for. We work with the whole care market from small local clients to some of the biggest care organisations within the UK. Whether you are looking for career progression, your next permanent role, a short-term contract or ad-hoc hours to fit around your family, we can help. Let our specialist consultants guide you through the recruitment process so you can focus your time on what you do best, delivering a first class service to the people you support. Visit our blog for the latest Nursing, Social Care and Education news, views and sector updates. We specialise in temporary and permanent recruitment in the Social Care sector. We support with the following roles: Children and Adult Support Worker roles within: Childrens Residential, Learning Disabilities, Mental Health and Community based Services. We are committed to finding work for all levels of Care Management including Registered Manager, Head of Care, Service Manager and Deputy Managers.​ Our team has over 25 years Care recruitment experience placing managers. We are specialists in placing Social Workers, Social Work Assistants and Social Work Managers in jobs across the UK. ​Covering all areas of Social Work, we are able to find you temporary and permanent work in the public and private sectors. We specialise in temporary and permanent recruitment in the Social Housing sector. We support with the following roles: Housing Support Worker, Tenancy Support Worker, Project Worker, within Homelessness, Substance Misuse, Domestic Violence and Mental Health services.